Youth has long been thought of as a considerable impediment to the artistically successful – live or recorded – blues and jazz. Moreover, when you’re white, it sometimes gets a little more difficult to ‘sing’ the blues. Worse still, there is a school of thought that you might even have no right to feel the blues. But Will Herrington has always done everything early, and in that latter matter, felt the blues in his soul. He began playing piano at 2 years of age, started formal training at 6 and began performing not much later. And his uncomplicated directness is one of the many strengths of this spotless performance of these pieces. His unusual grasp of form and substance and there is great though in his playing – a sign of unusual, but not unexpected maturity. This and the fact that he has fresh ideas in spades keeps you riveted to the speakers when the disc is playing. Another reason for high praise is the fact that as a composer there is freshness, fluency and a notably expressive quality to his music. He also writes idiomatically favouring long rests when he is communicating a particularly moment of anguish, staccato – almost percussive hammer-on-strings – when he wants to sing about a stab to the heart and even a dazzling arpeggio in the tenor and soprano registers, when he is telling us about the purity of pain. But it’s not always wailing and sadness. There is an uplifting quality to this catharsis and it is present in the swing of delight that characterises his jazz. His delivery of extra-special crunch moments provides plenty of points to knock your socks off especially during the pointillist hammering of finger on keys, on “Don’t You Come Struttin’ in Here”. 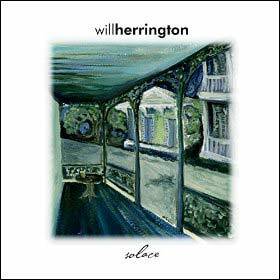 Expression and soulfulness is key to Will Herrington’s playing throughout Solace. Technique is the other. 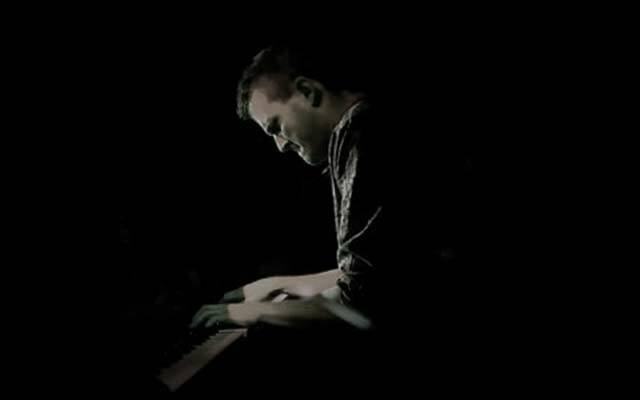 I have not hears a pianist who understands the idiosyncrasies and nuances of the heart of the piano. And while there are no wild moments of virtuosity Mr. Herrington’s masterful handling of the keyboard is astounding. His fingers appear to be raw nerve-endings. Thus he only has to touch, or brush the keys with them and he can communicate the subtlety of feelings. His manipulation of the pedals is also a wondrous thing indeed. Feelings of irony, pain, joy and unforgettable lightness are literally at his fingertips. This aspect of technique cannot really be learned. You are either born with the ability to get in touch with your soul and communicate this with technical precision or you are not. Listen to “Elegy” and you will be struck by this aspect of his playing almost immediately.